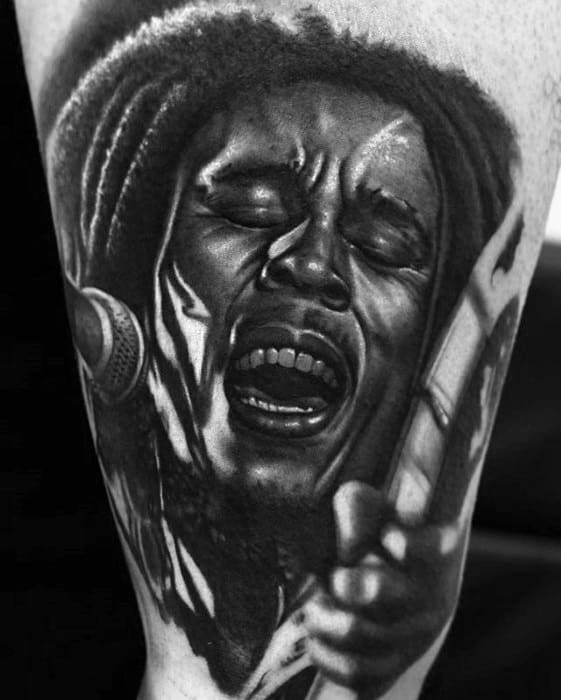 The Jamaican renaissance man who introduced reggae to the wider world, Bob Marley not only globalized a genre, but was among the first to instill hope and freedom through song. 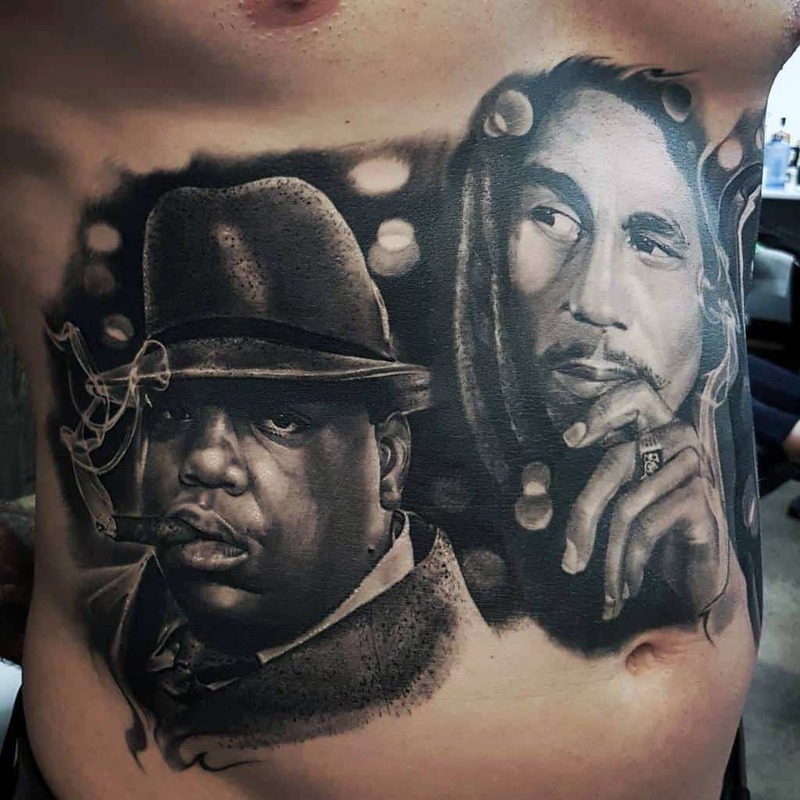 His music transcended race and social status, questioned authority from a place of higher peace, and encouraged his followers to create their own reality, rather than constrict themselves within the confines of another’s. 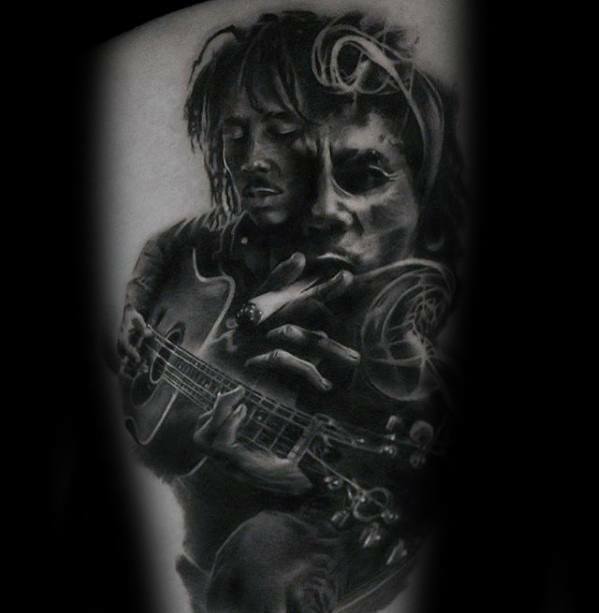 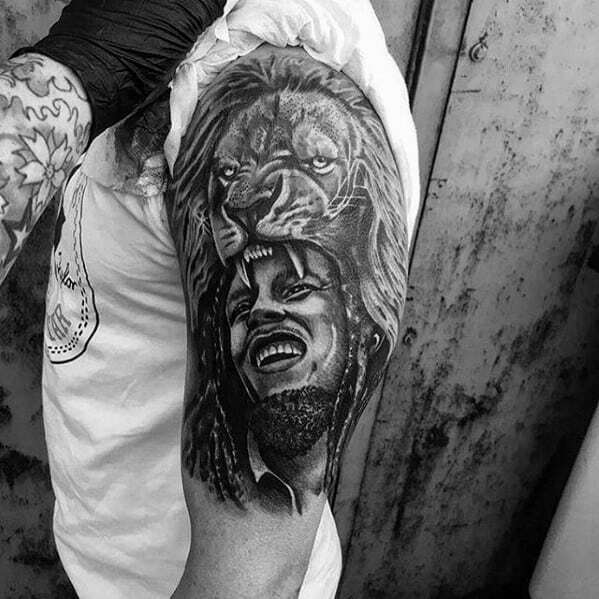 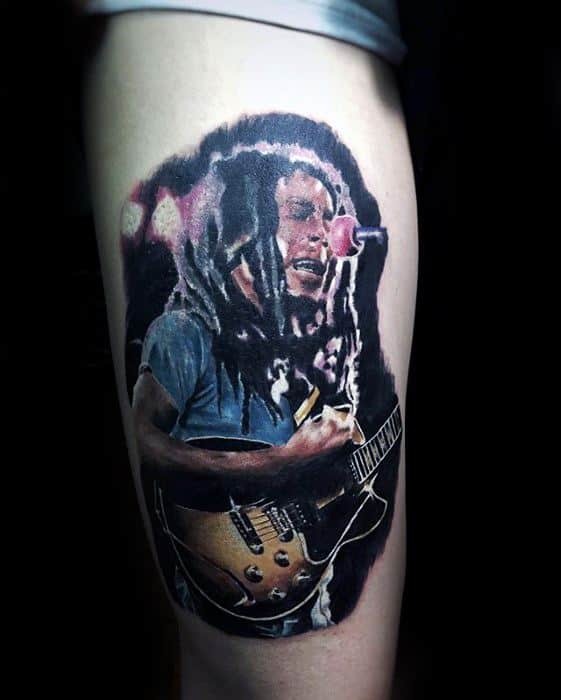 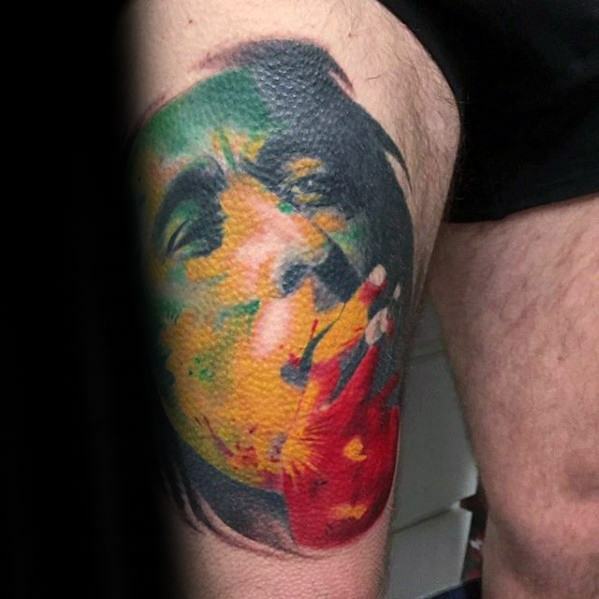 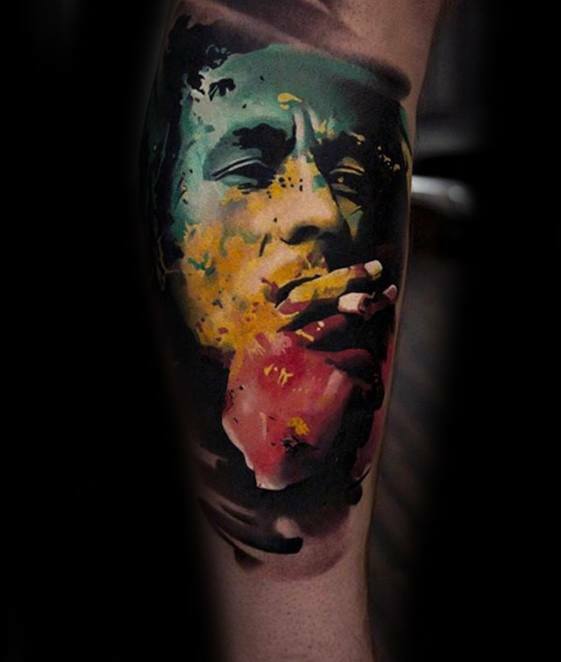 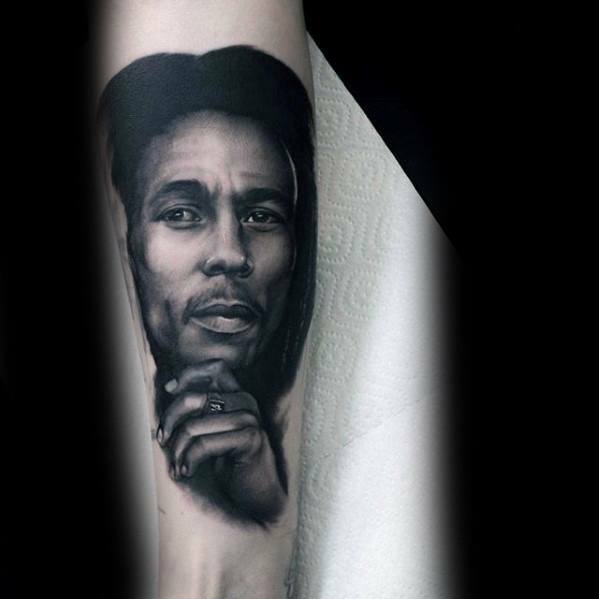 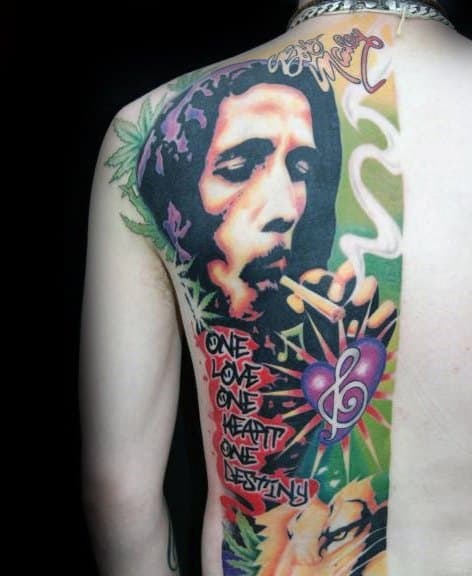 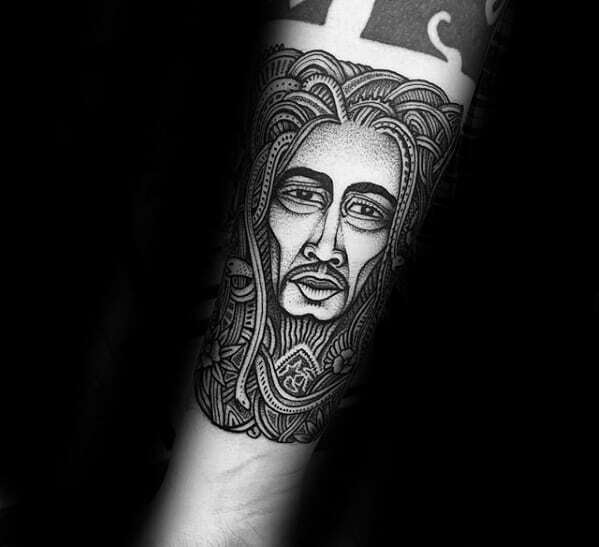 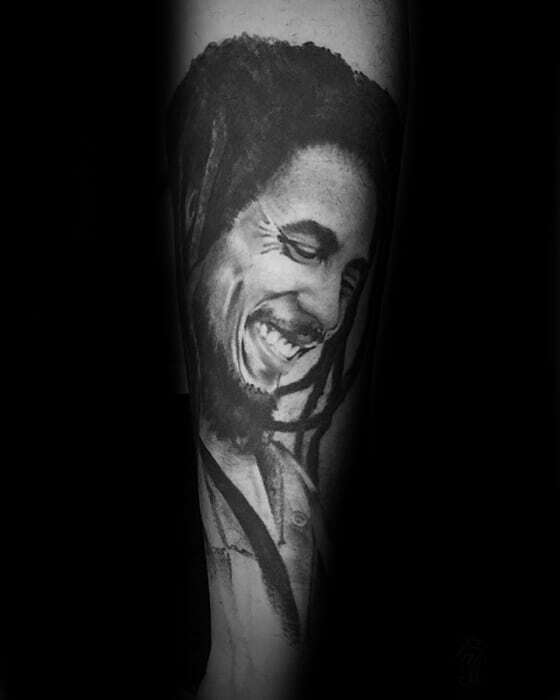 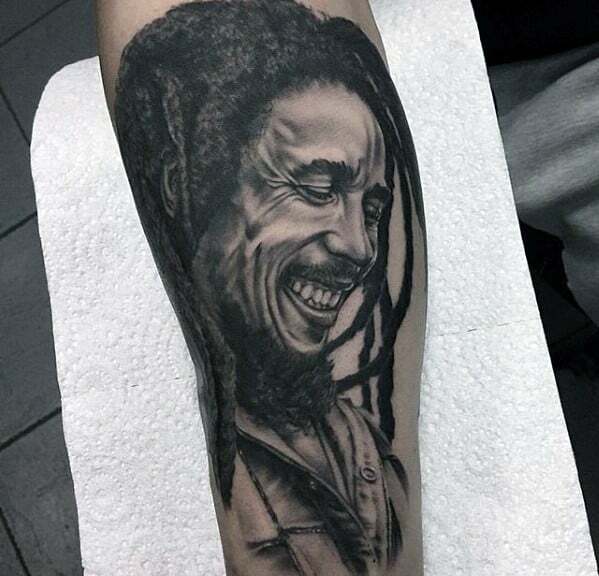 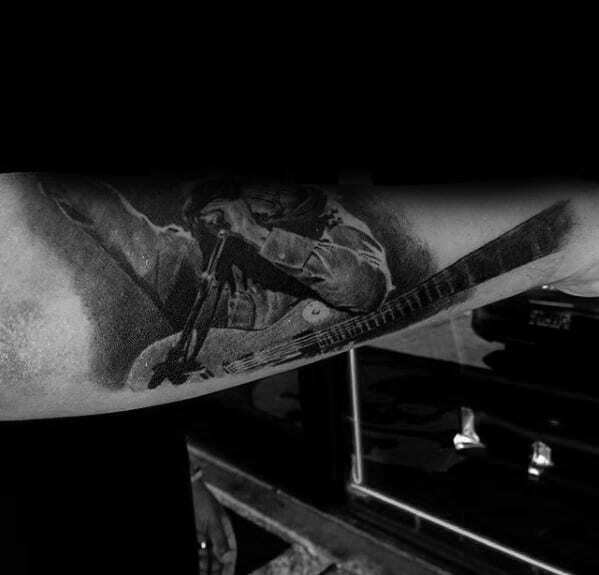 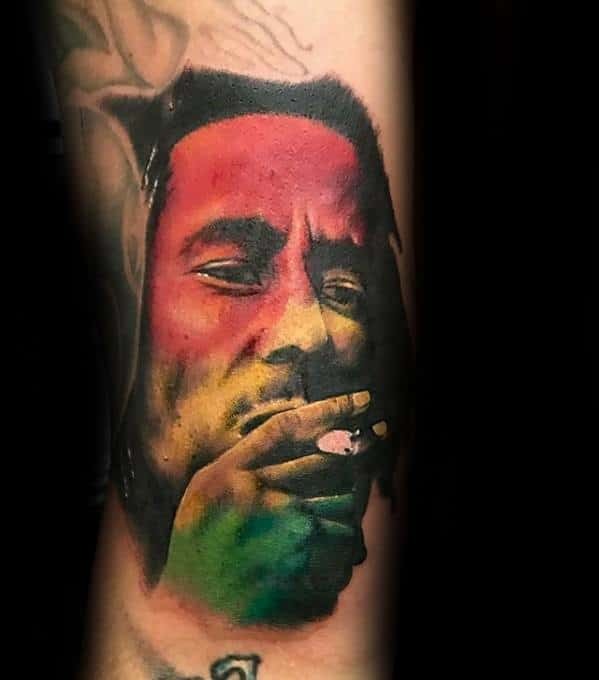 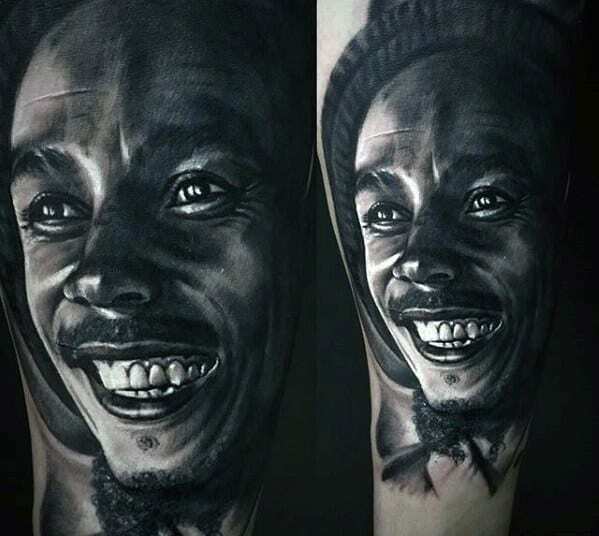 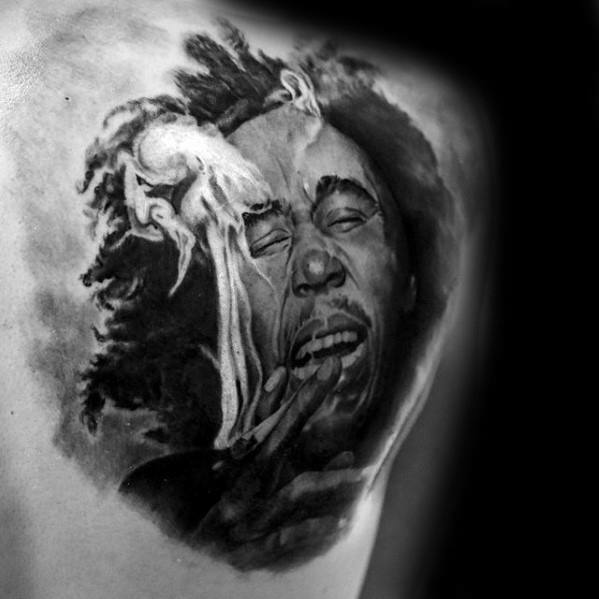 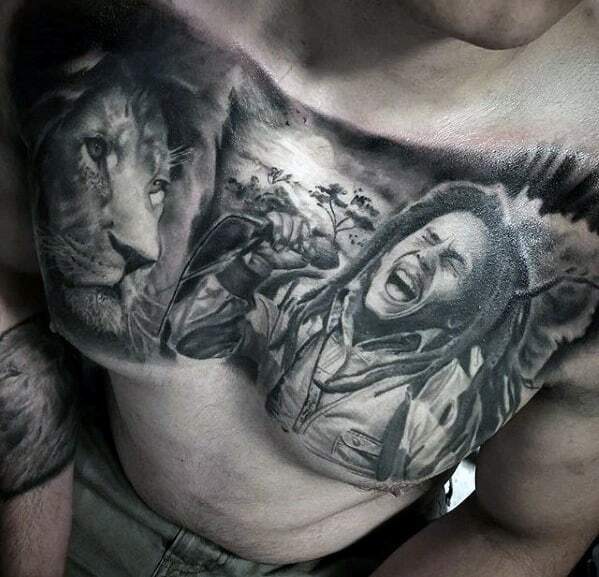 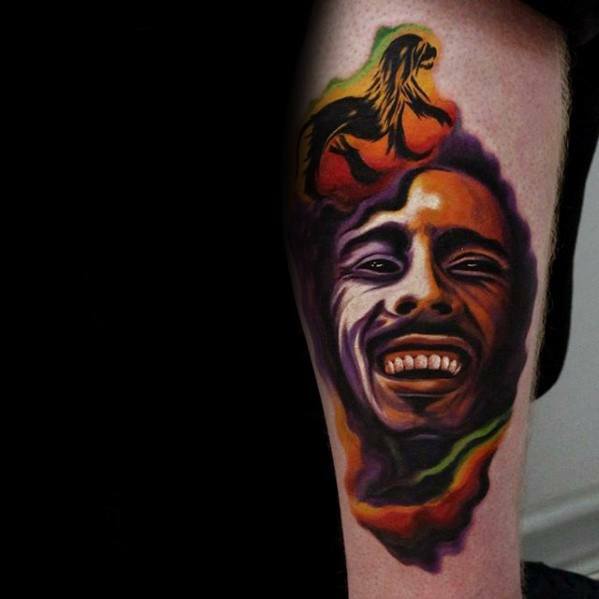 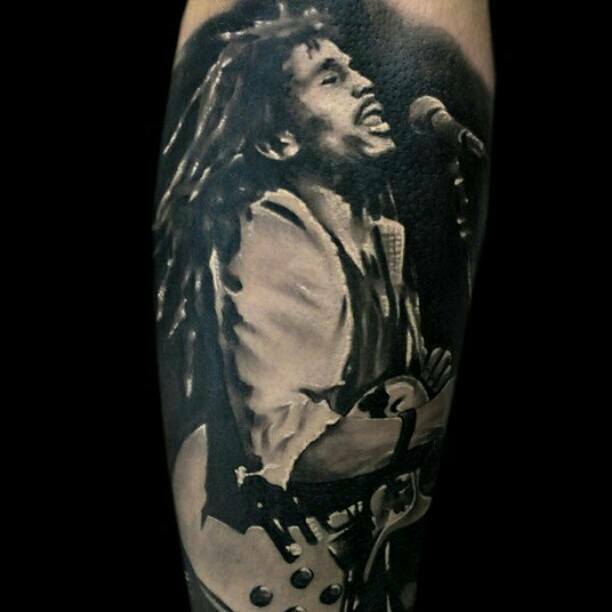 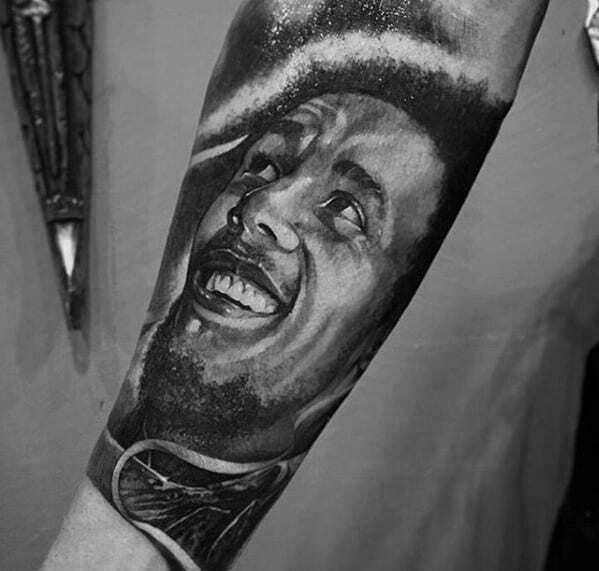 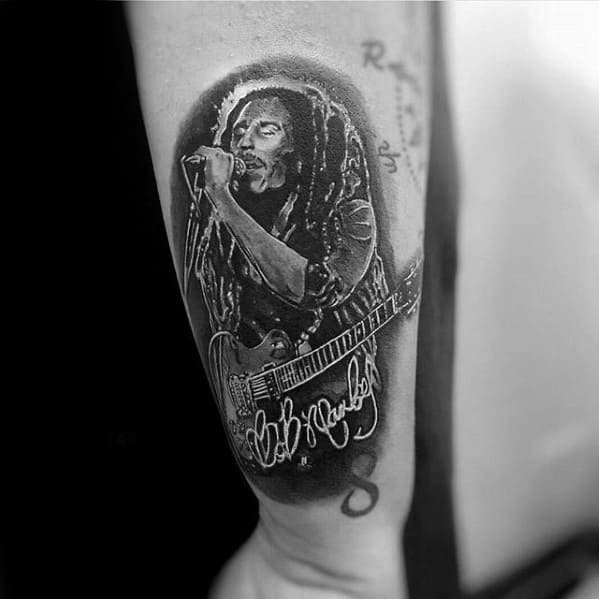 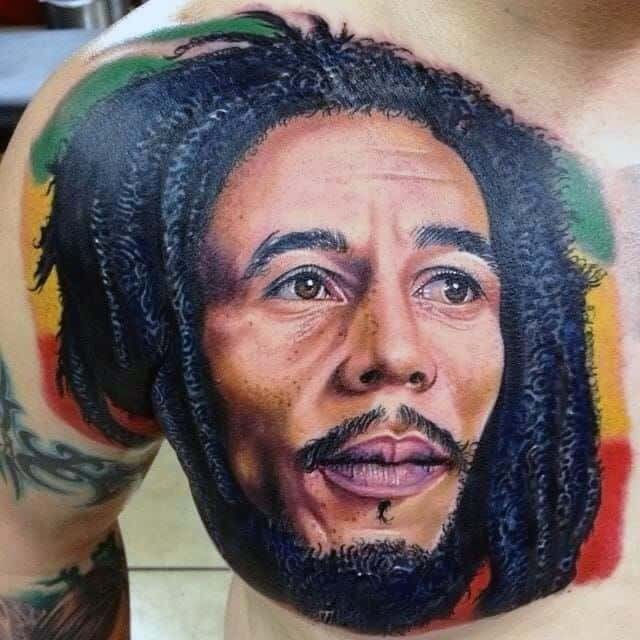 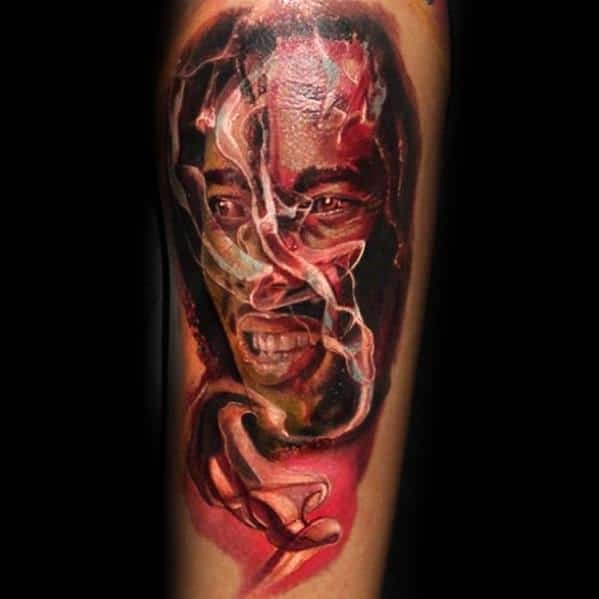 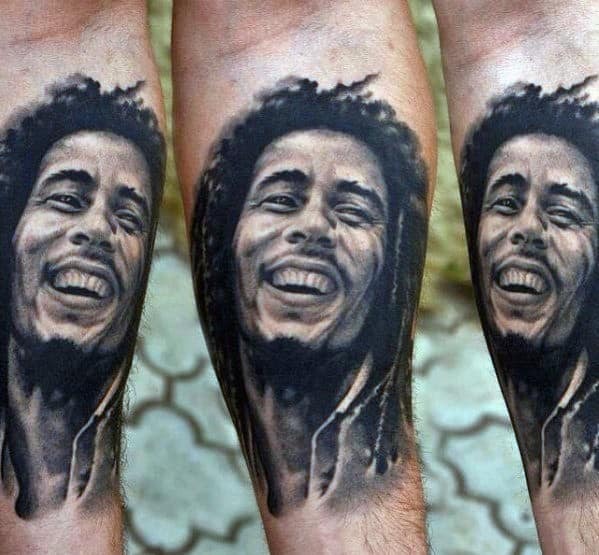 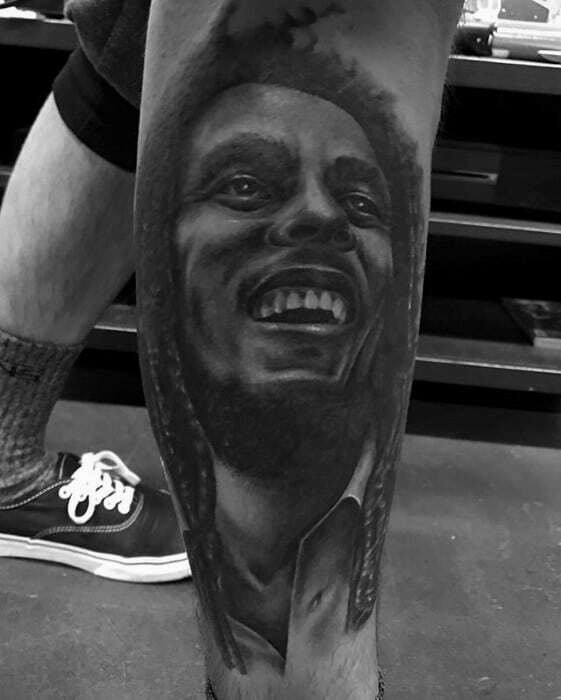 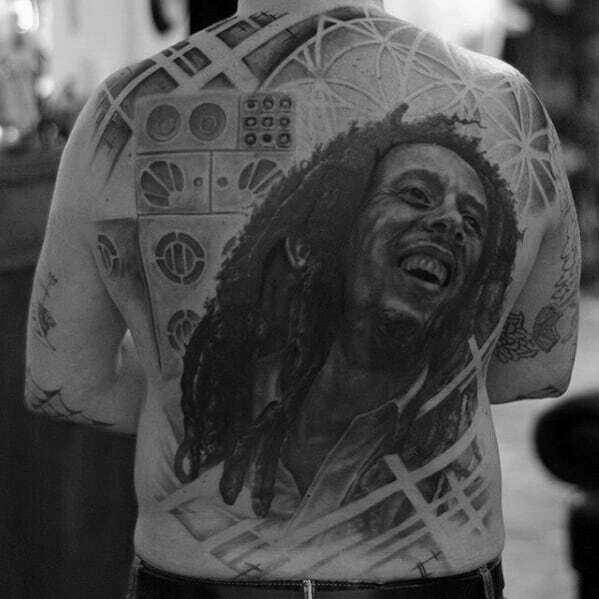 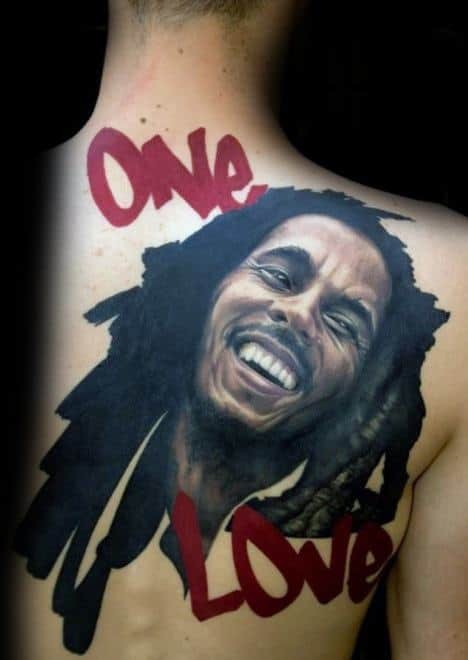 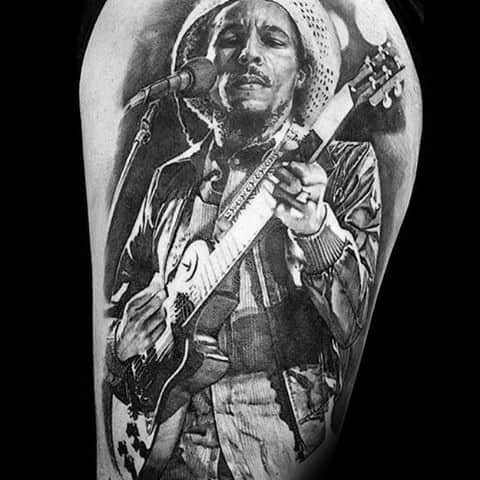 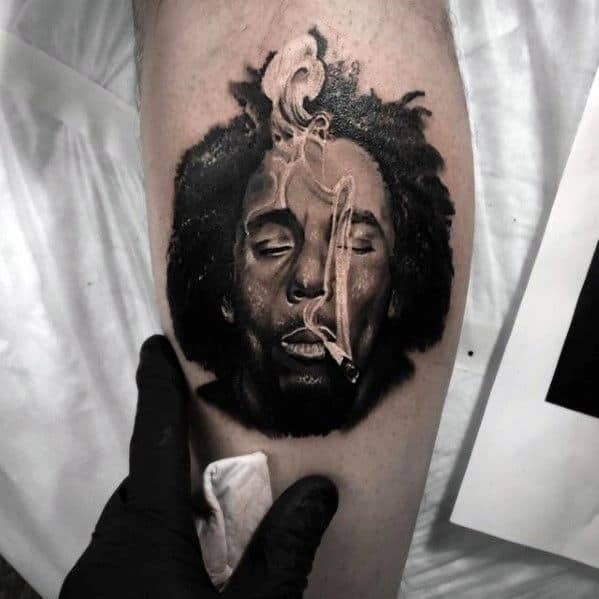 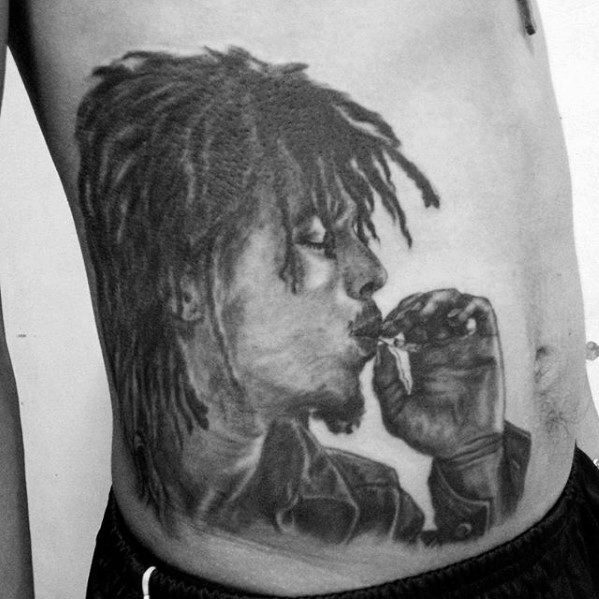 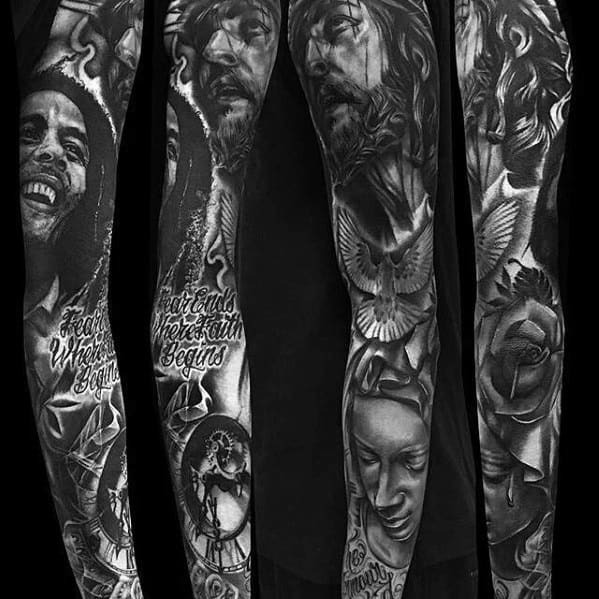 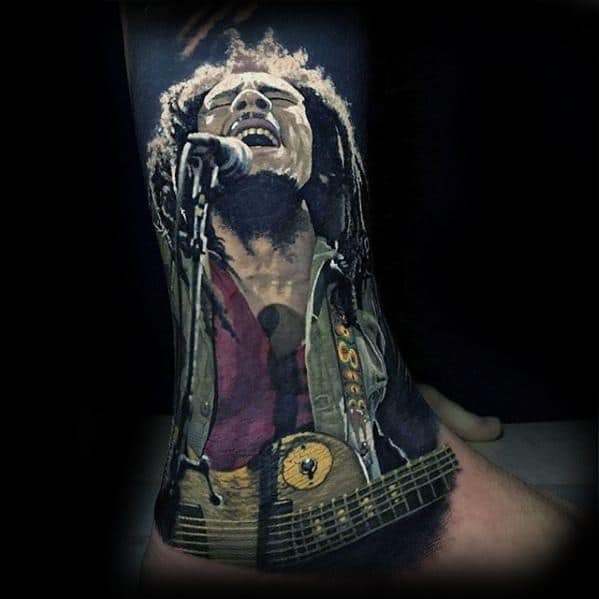 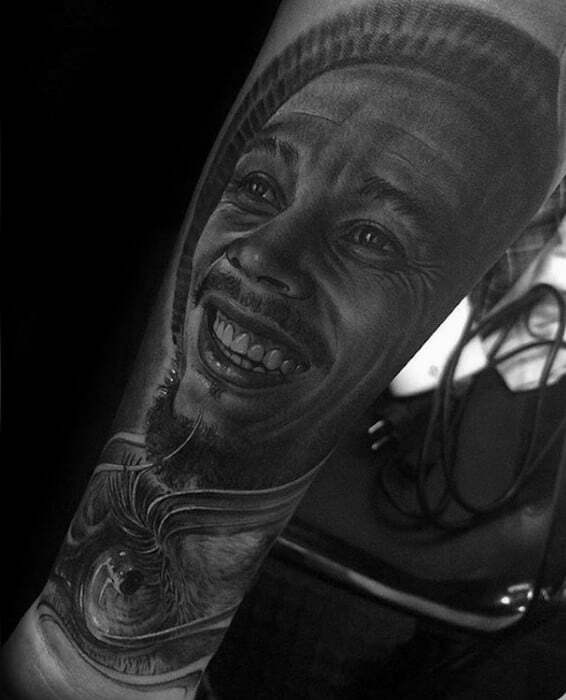 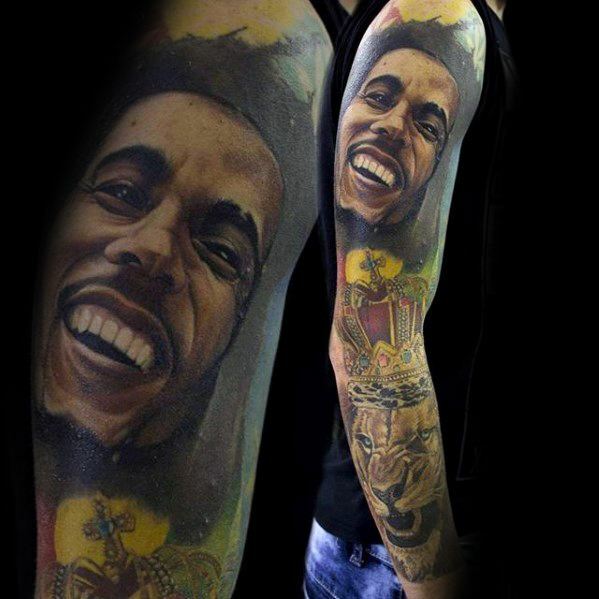 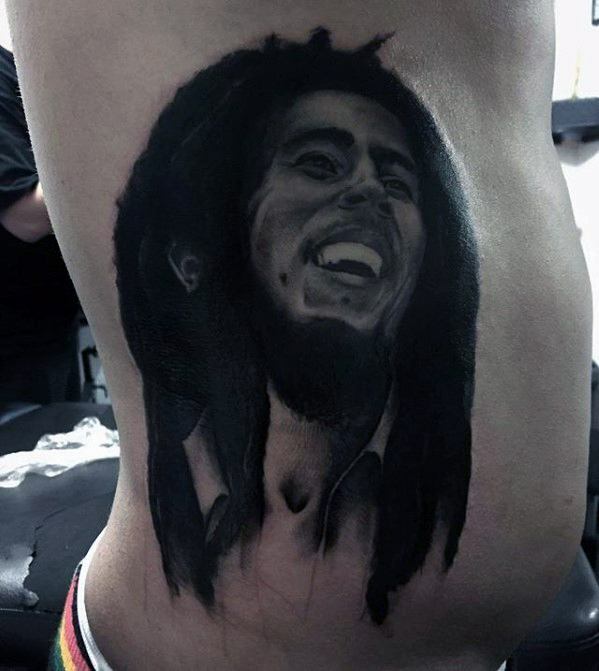 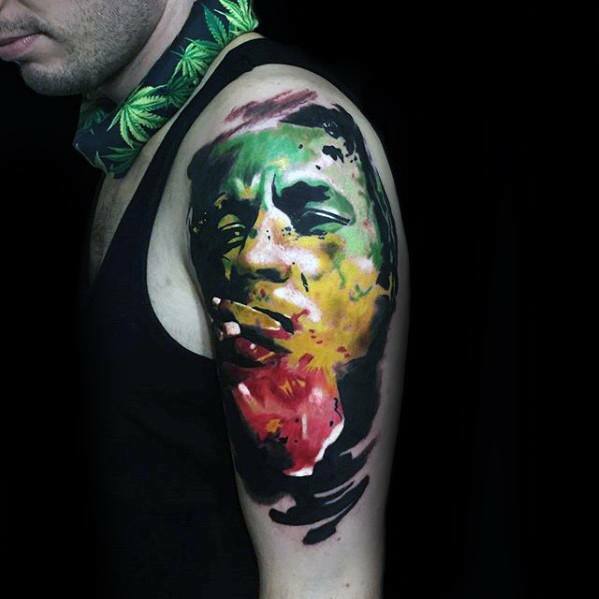 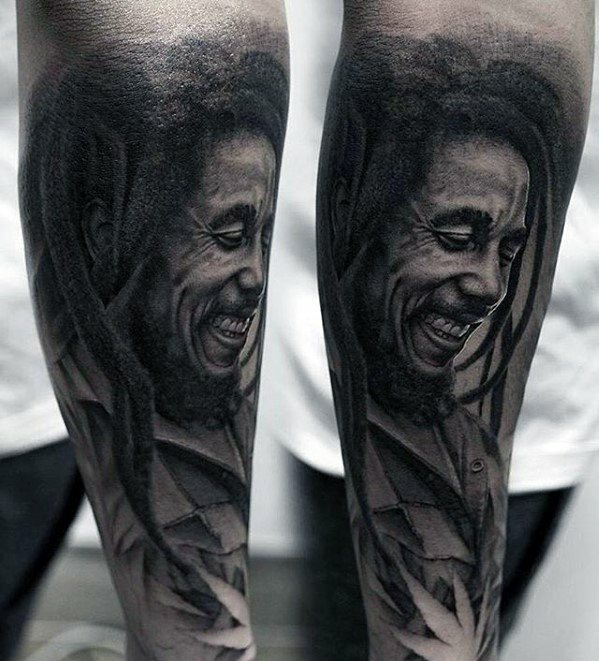 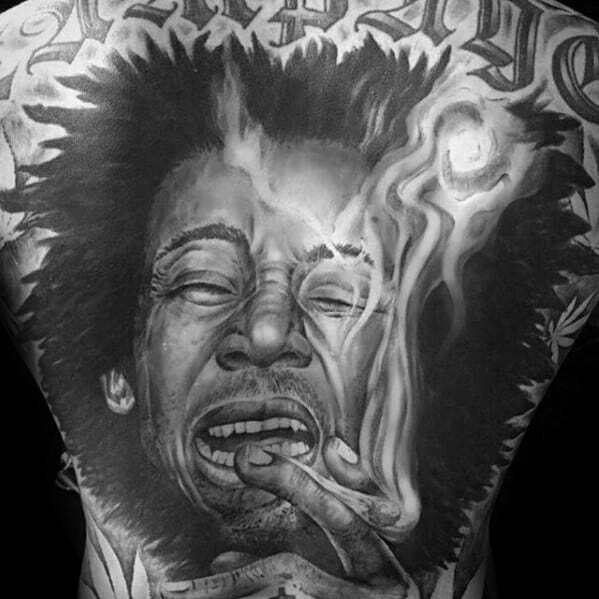 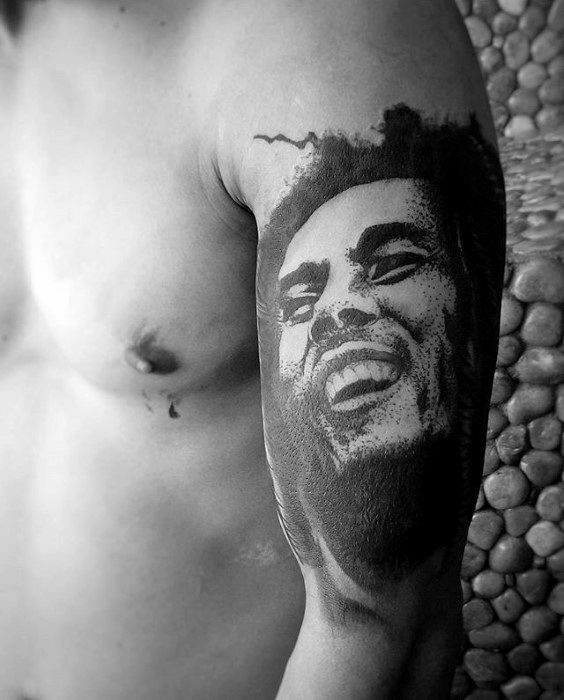 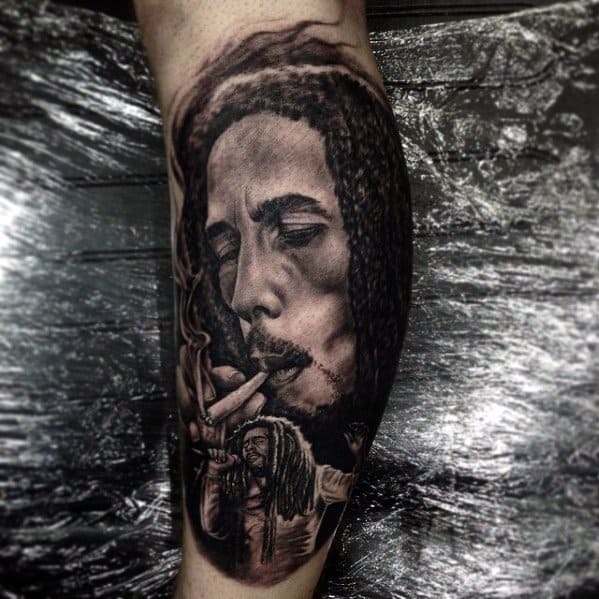 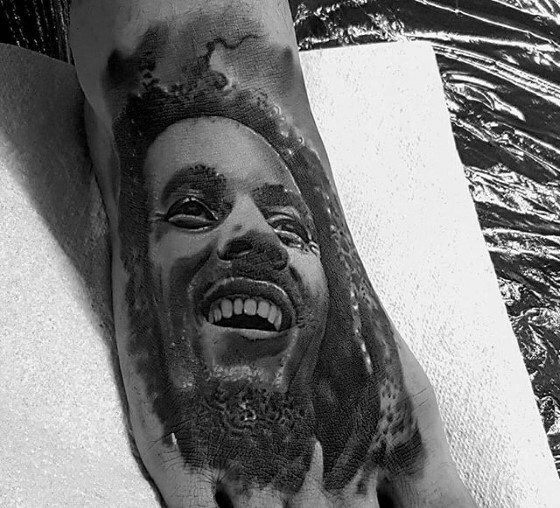 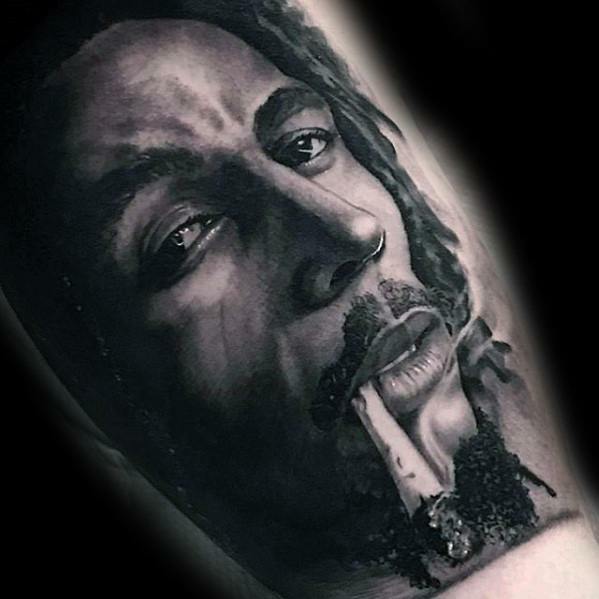 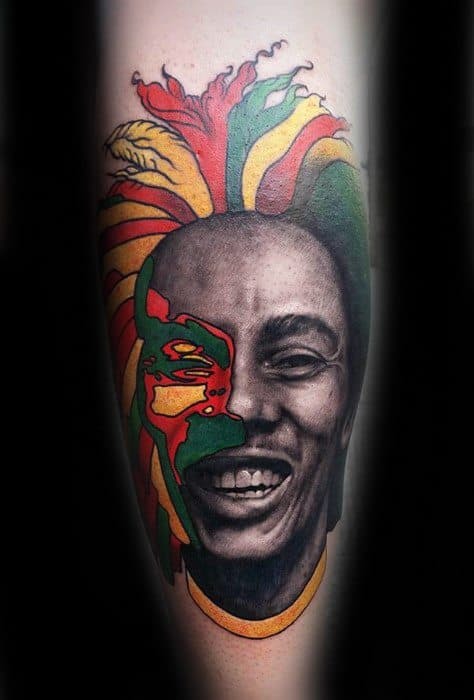 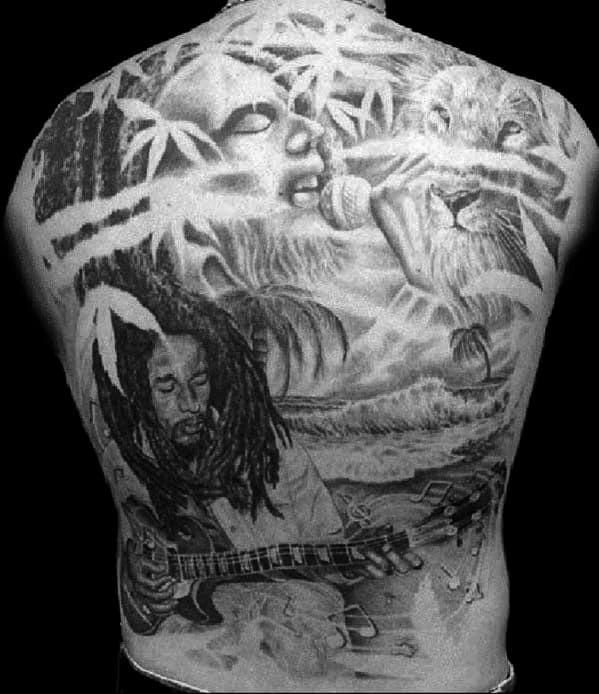 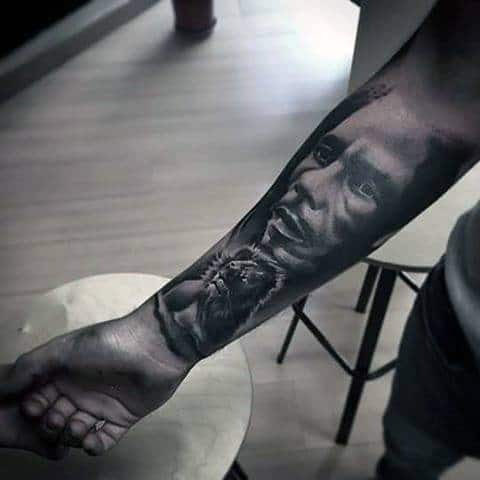 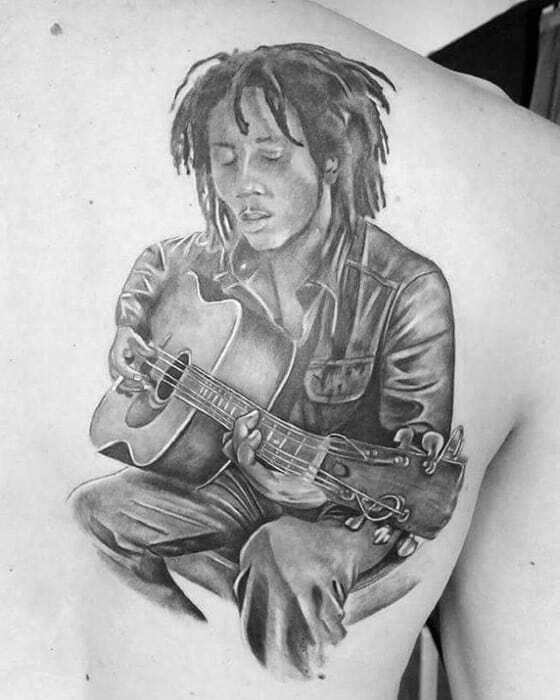 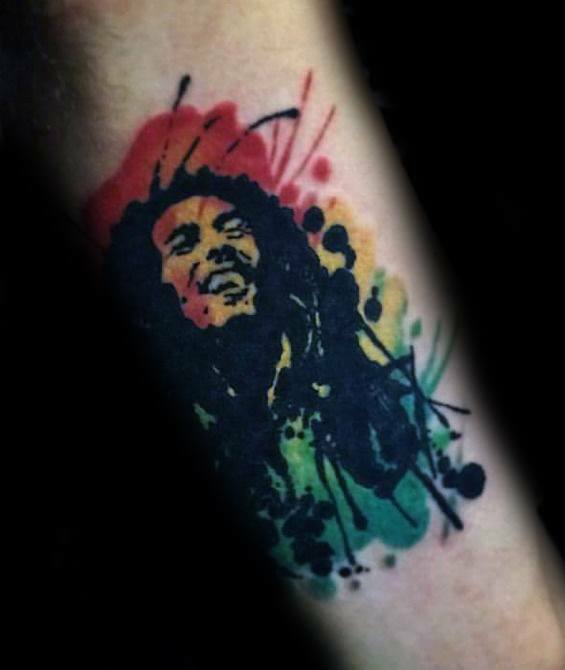 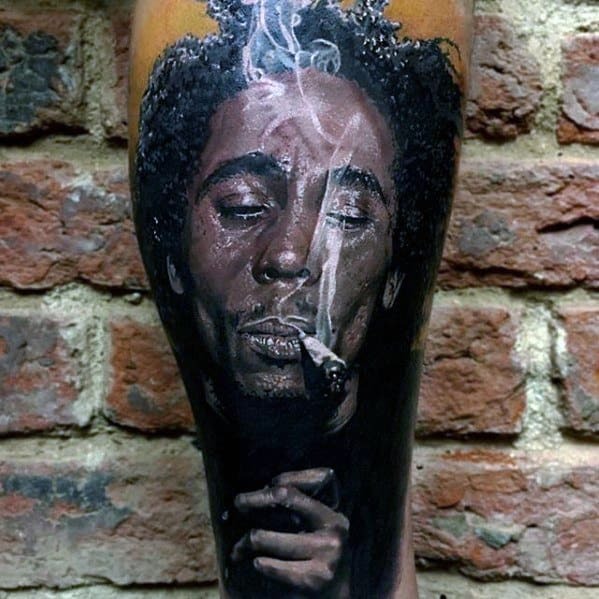 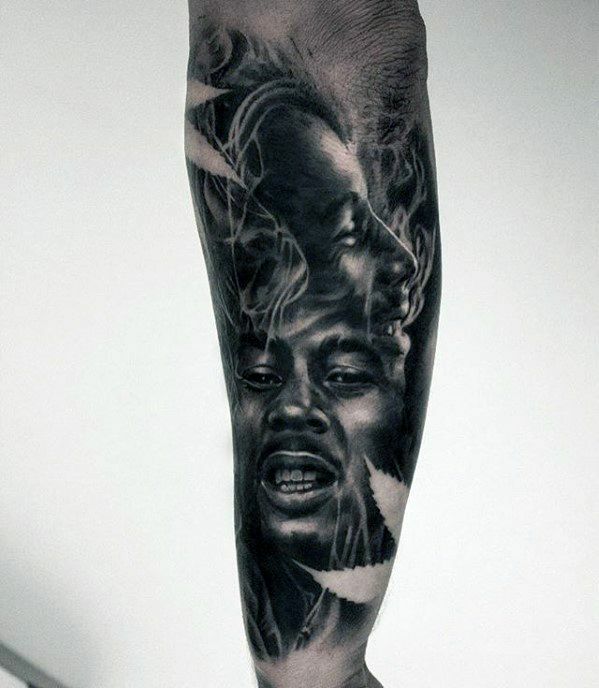 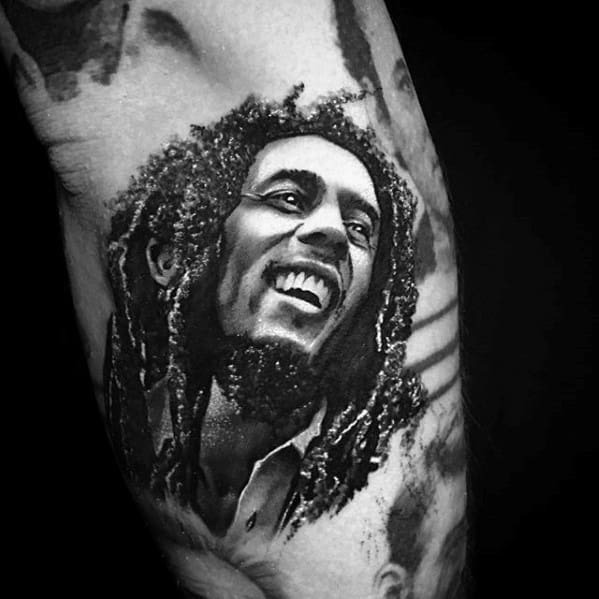 Needless to say, the legend of Bob Marley has long been memorialized in tattoo form, from stunning color portraits to black and white snapshot-style imprints. 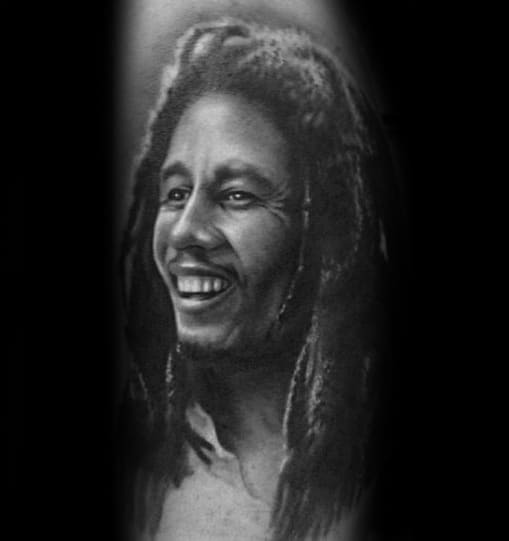 The singer’s famous smile and contemplative eyes have peered out from under shirt sleeves and collars for years, often accompanied by his more poignant song lyrics. 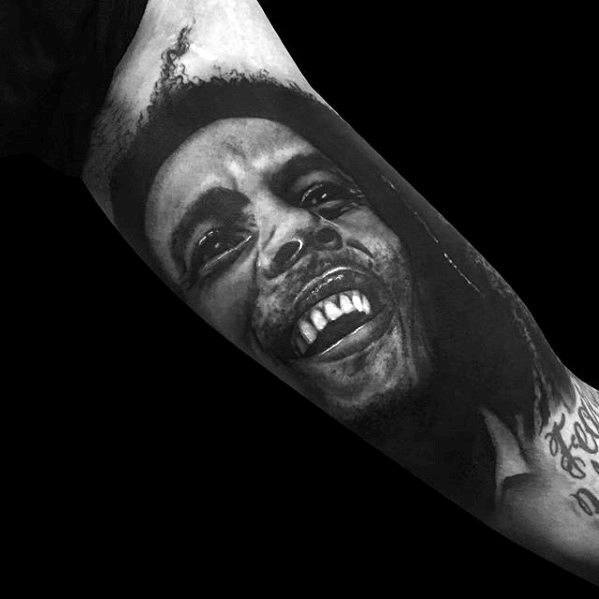 Many have devoted entire sleeves to the singer’s likeness, emblems, and beloved Jamaican landscape. 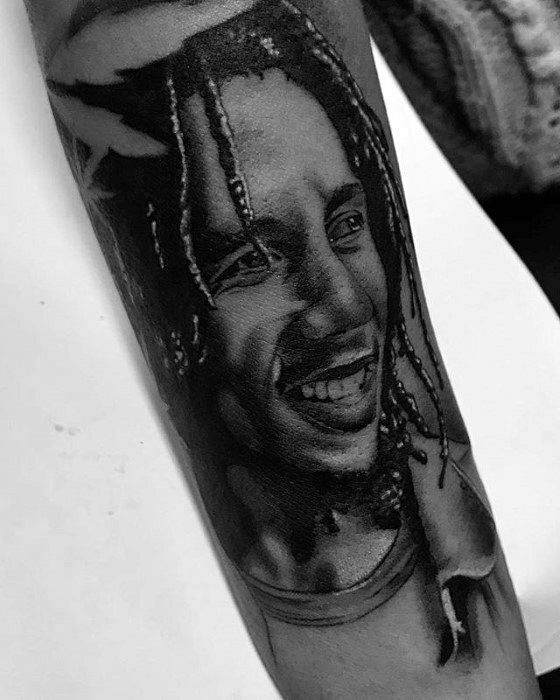 A Bob Marley tattoo is not only a nod to some of the greatest music ever created, but a message to the world: I am here, I am free, and as long as I am your comrade & brother so are you.